IS made significant, almost surprising, gains this week, finally taking over the town of Harawa, near Sirte. The militant group had tried to seize the town back in March but was repelled by local forces. This time, however, IS was able to take control without a fight after striking an agreement with local tribal leaders who opened the way for them. The group has called on those local residents who have not yet fled to repent before paying their allegiance to the group’s Emir, Abu Bakr Al-Baghdadi. 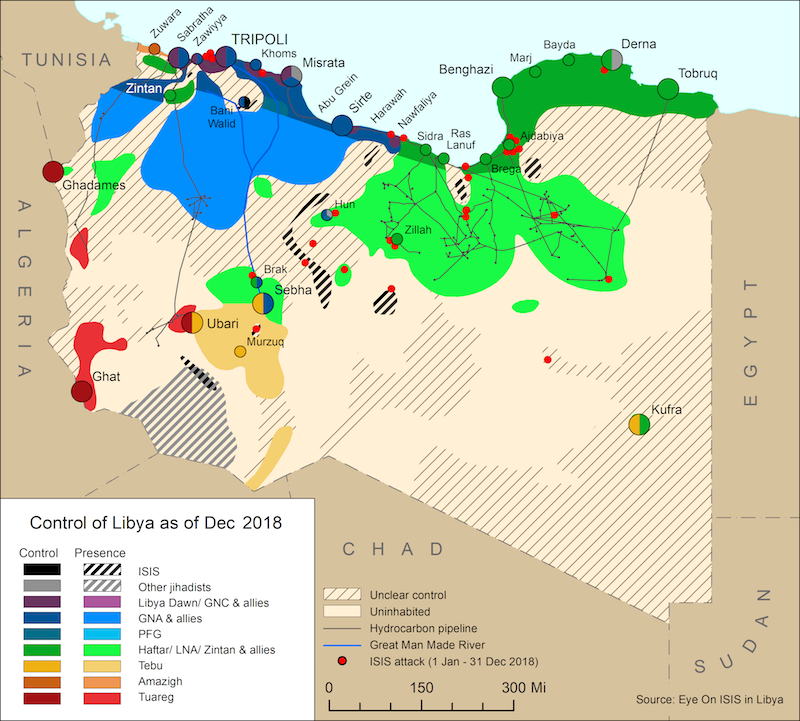 This latest development means that IS now has control of Harawa, Sirte and Nawfaliya prompting serious concerns that it will continue to expand along the coastal area, ultimately posing a serious threat to the Oil Crescent area, including the ports of Ras Lanuf and Es-Sider. Although the group does not appear to be sufficiently powerful at the moment to be able to threaten these ports, if it continues to expand unchecked then it could present a real risk in the future. 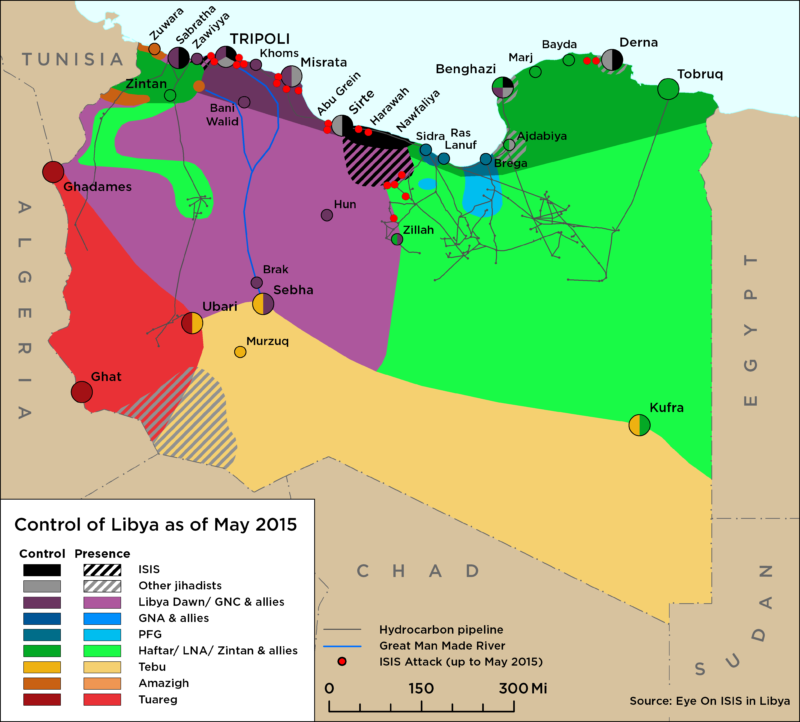 IS is also posing an increasing threat to Misrata. The group claimed responsibility for an attack against the Abu Grain checkpoint on 7 June in which three guards had their throats slit. Although Abu Grayn lies some 100 km south east of Misrata, it is considered to be the south eastern entrance to the town and falls within its municipal area.